Hollister, CA - Corbin introduces Trunk Armrests and a Cup Holder for the 2010-2013 Can Am Spyder…they’re the latest addition to the Corbin modular lineup. 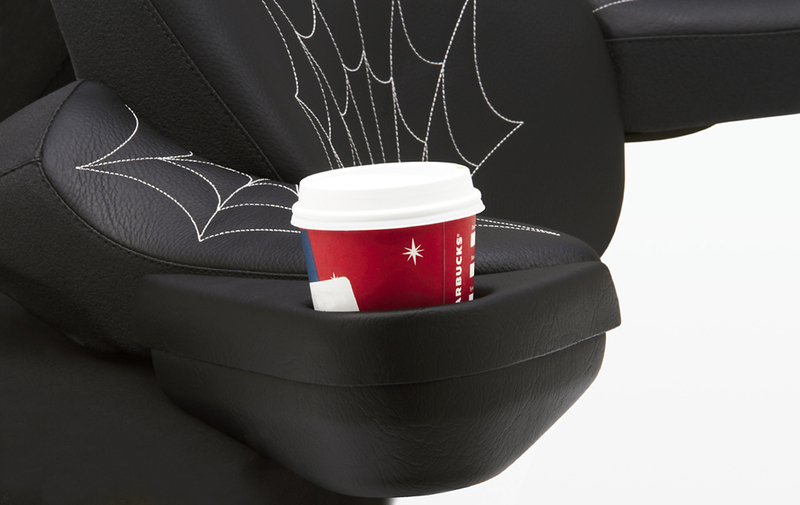 These armrests give your passenger a usable area to rest their elbows where their arms fall naturally at their sides. Generously sized and shaped to allow for a wide range of statures, Corbin armrests angle outward to facilitate getting in and out of the passenger seat. Their armrests are covered in the same materials as your Corbin saddle for a totally integrated look. In the right side armrest, they have built in a mounting point for future developments. Note: Corbin's armrests will work with the stock or Corbin trunkrest. Installation of the armrests is a significant project that requires much of the trunk area to be disassembled. This is not a difficult procedure, nor does it require special tools... but it does require some time and quite a bit of assembly/disassemble. 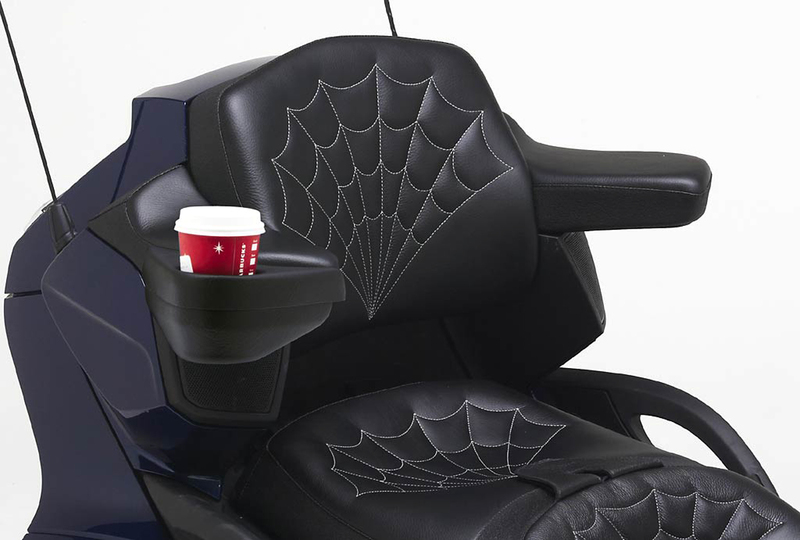 Corbin knows what it’s like being out on the road and they now offer a cup holder molded specially for their Spyder Can Am armrests. Bolts on easily and fits a wide range of cup / bottle sizes. Vacuum formed with leather texture ABS to blend in nicely and withstand the elements. MSRP: Trunk Armrests-$293.00/Cup Holder for Armrests-$141.00. Visit Corbin during Bike Week in Florida and receive 10% off anything you buy and don’t forget about Corbin’s 4th Annual Rider Appreciation day on July 5th-6th in Hollister!